The S.A.C. Songwriting and Blogging Challenge 2013 is underway, and a dedicated group of songwriters from all across Canada is taking part in the Coursera Songwriting Class with Pat Pattison over the next six weeks. Every week our blog will be full of posts recounting experiences with the weekly songwriting lesson. Songwriters at various stages of development from beginner to veteran have already spoken in their first blogs about their passion for the craft of songwriting, the desire to improve their craft, and the importance of developing community as they answered questions about their relationship to songwriting and what they hope to gain from the class. Throughout six instructional videos in Lesson One, Berklee College of Music professor and world-renowned songwriting teacher Pat Pattison demonstrates why top songwriters like John Mayer and Gillian Welch have expressed their appreciation for his instruction. Pat uses everyday situations and parables that are amusing and easy to understand in order to illustrate the basic songwriting concepts of Point of View, Song Development, and Song Form. He relates everything in an entertaining, conversational style so the amount of material he’s covering won’t seem overwhelming or difficult, yet he covers all the bases needed to get a song off the ground in Lesson One. For our first assignment, we’ve been asked to use the concept of ‘boxes’ to demonstrate how we would develop a song title. Boxes are the equivalent of Storyboards in the movie business: they outline plot. It’s also helpful to think of the classic graph used in teaching the short story, otherwise known as the dramatic arc, which basically consists of a beginning, middle, and an end, along with a rising action and a falling action. 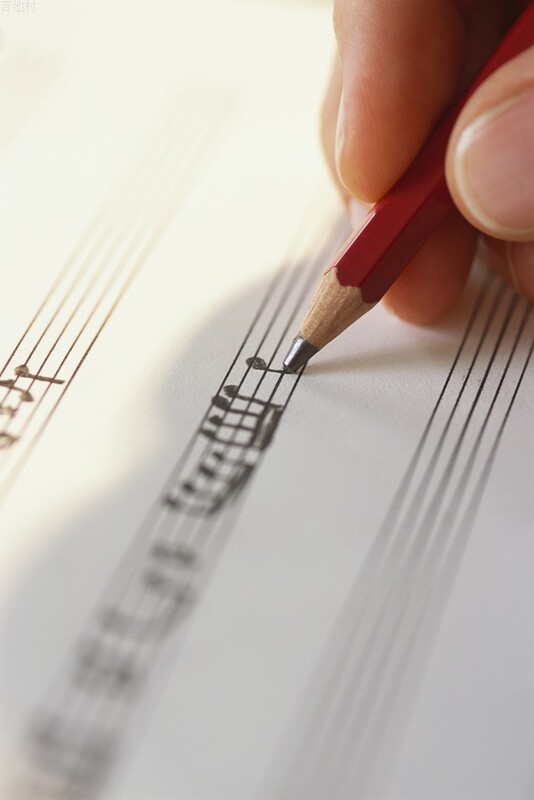 A songwriter needs to be aware of pacing, in order to maintain a listener’s constant interest. Pat points out that there should be a parallel between a producer’s build of a mix and a songwriter’s build of a lyric. Time to think inside, outside, and everywhere around the box as we plot the development of our songs. 1. Which song title you chose to develop, and why. I chose to develop the song title “Fool’s Gold” because I had a rock collection when I was a kid; and pyrite was among my favourites! I love your idea of writing, recording and posting the song… I might just do that, too. For week 1 I chose the title “Fool’s Gold” because it immediately brought to my mind an image of a dulled gold wedding band and the idea that some people fall for a false sense of security and bliss through marriage. I chose the title Two Story House inspired in part by the amount of development going on that is seeing a great many fine older structures disappear. I chose to work on “Home Brew”…..it kind of set off in my mind, about how our upbringing impacts us in our future lives; how we are a blend of our home and family life (a home brew). I chose “The Good Old Days” because it tied in with a song idea I had written down in my hook book, that had no framework: “Harley’s, Horses and Hard Times”. I had no WHY for the story before, but thanks to this lesson, I believe I that I do! Looking forward to writing this song. Head on over to my blog to learn ALL about my first week. I felt the titles were all corny and I could do corny very well, thanks, so I came up with the well-trodden title of “Footprints in the Snow”. Read the WHOLE story of how it became a planned song in no time at all, then VOTE YES or VOTE NO on whether this is a song that should live or die. :-). Enjoy! i decided to choose an original song title: “You Can’t Do That”. I chose it partly because I have something to get off my chest, and partly because the story I’m working on seems to have some exciting possible directions. I chose my own title, after a lot of muddling around in confusion. My song title is “The Art of Letting Go”. I chose this title because it inspired a whole story that is part my experience, and also part of the human experience. Into the wee hours we wander. So much to see when the world gets quiet. I chose my own title, went through the assignment completely…and then found myself craving the challenge of making one of the other titles work. Oops, is this considered week #2’s blog post? I guess it is. Hang on, I’ll catch up soon! Promise! I chose to develop the title, “It’s hard when you miss someone.” This is a song I’ve been writing in my mind as I’ve been grieving the loss of my mom. It was nice to have some parameters to explore such a complex experience. Hi there – quick blog about song development (boxes)…I chose two story house! I chose my own lyric. “I don’t like coming here ’cause I don’t like leaving” ’cause the suggested tiles didn’t quite resonate with me at the time. Although two story house seems like I might choose it if I read the assignment tonight. I chose ” Raise Up Your Glass” as my song title for Lesson One” Journey of a song”. I grew up in Nova Scotia Canada and spent the majority of my life living and working in Atlantic Canada. I found myself forced to move to Edmonton Alberta for economic reasons. I was very nervous and somewhat resistant to this huge change in my life. Being 40 years old, I had never been in Western Canada prior to this and I knew little about it. All of my family and friends remained in Atlantic Canada. My wife and children followed me out here 8 months later. For a short time I was leaving everyone and everything I knew for the unknown. I now love Alberta and the people here, however It will never really be home.